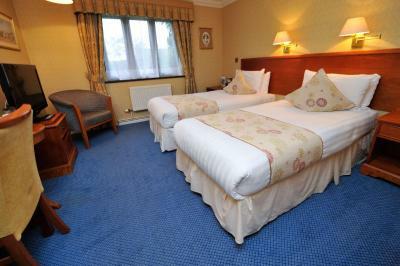 Lock in a great price for Best Western PLUS Grim's Dyke Hotel – rated 8.5 by recent guests! Quaint. In country side. Pretty easy to get to. With Uber. Nice lounge. Great tea kettle in room. 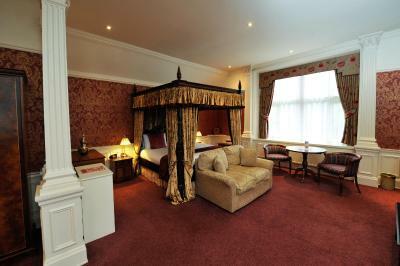 The historic look and large comfortable rooms were nice. The property is beautiful nestled in a surrounding forest. The special Gilbert & Sullivan atmosphere. I selected the hotel in order to attend a performance of "The Pirates of Penzance." I was very pleased by the performance. 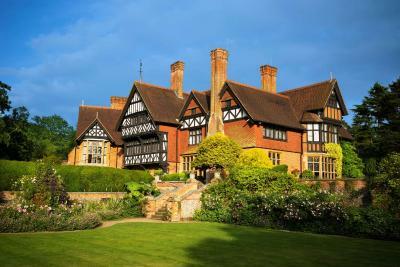 This is a superb getaway that's easy to reach from London. We were there for a performance of The Mikado, which was delightful. We were surprised by the extensive gardens and nature trails on the grounds. There's also ample history, including an earthen rampart ... Grimm's Dike ... Which was erected in Roman times. And of course it was owned by Gilbert of Gilbert and Sullivan, who actually died in a pond on the property, drowned while trying to rescue two girls who were in distress. In addition to The Mikado, this hotel offers many other performing arts events, among them jazz and Irish music. 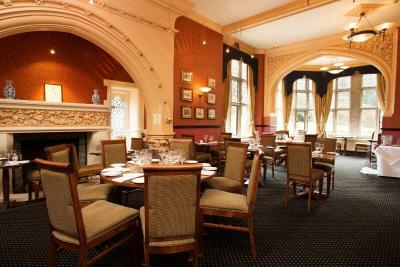 The restaurant is elegant and serves fine meals, particularly the full English breakfast. 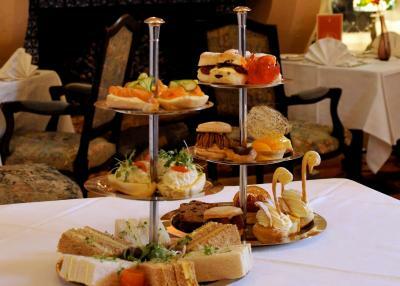 The staff were friendly and accommodating. The hotel is in a quiet location with only bird song to be heard. 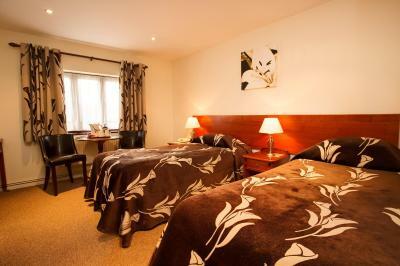 The room was a short distance away in lodge which was comfortable and clean. An excellent breakfast was served in the main building. Plenty of safe parking available. 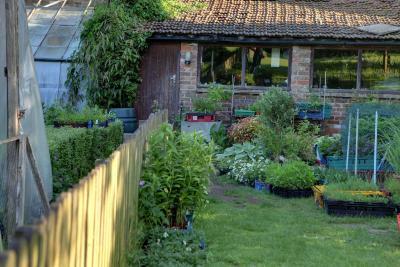 Garden room opened directly onto a lawned area, perfect for walking our dogs. Room itself was very clean, spacious and comfortable. Absolutely fantastic! Easy to find, lots of free parking, fast check in, delightful staff. The room was beautiful (we were in the Sullivan Suite). Comfortable bed, huge flat screen television, lots of chairs, desk, wardrobe with iron and ironing board, tea/coffee making facilities, complimentary water. 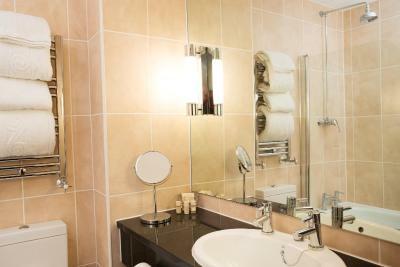 The bathroom was clean and spacious with quality toiletries. 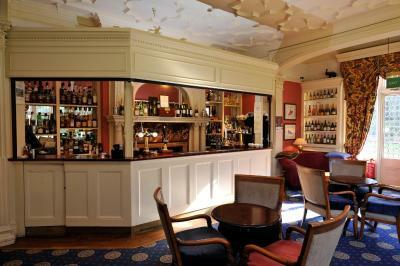 There is a very cosy bar downstairs and lovely surrounding grounds. This will be our go to place from now on for our frequent visits to family in the area. Beautiful gardens, historic house. Most of the rooms are in the garden lodge, so you need to walk outside to get to breakfast. 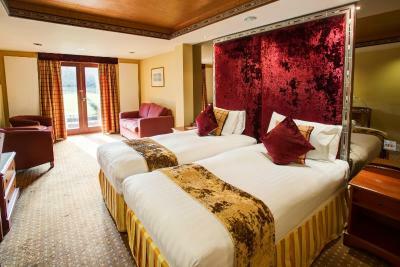 Best Western PLUS Grim's Dyke Hotel This rating is a reflection of how the property compares to the industry standard when it comes to price, facilities and services available. It's based on a self-evaluation by the property. Use this rating to help choose your stay! 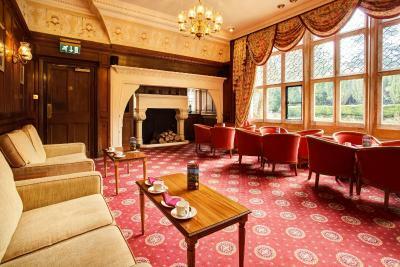 Grade II Listed Grim's Dyke Hotel features a grand entrance hall and traditional Library Bar, with a huge fireplace. 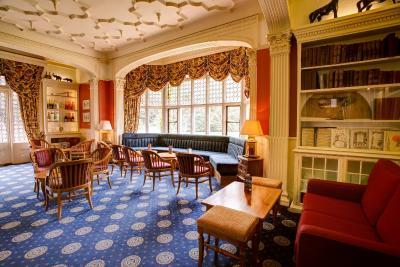 This is where Sir William Gilbert, of Gilbert and Sullivan, wrote many of his most famous works. The Harry Potter Studio Tour London is just 9 miles away and 20 minutes by car. 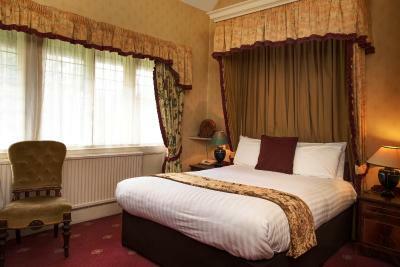 This country house hotel is 7 miles from Wembley Stadium. Only a 10-minute drive away is Grim's Dyke Golf Club, with a picturesque parkland course. 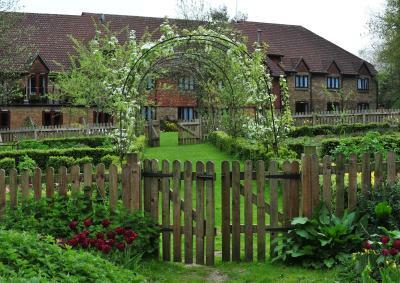 Pinner is a great choice for travelers interested in relaxation, nature and pubs. 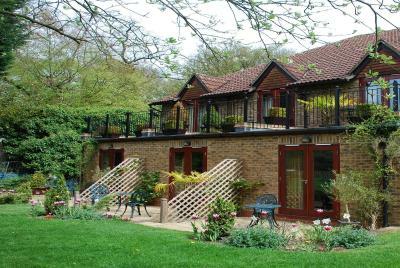 This property also has one of the top-rated locations in Harrow! Guests are happier about it compared to other properties in the area. 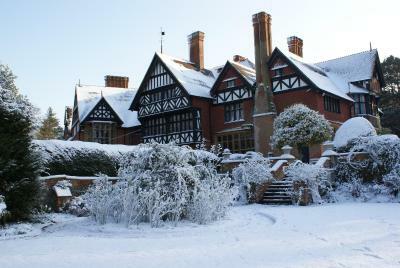 When would you like to stay at Best Western PLUS Grim's Dyke Hotel? 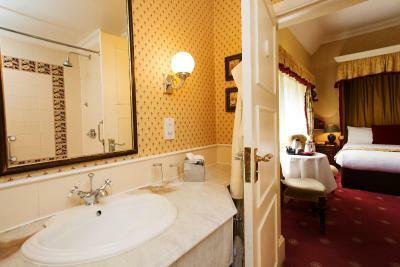 This suite features a hot tub, tumble dryer and seating area. This double room has a tumble dryer. 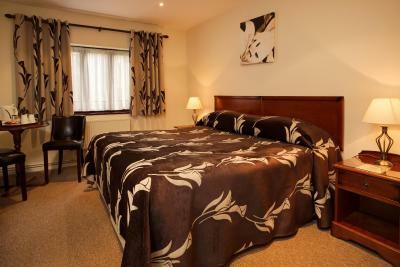 This double room features a balcony, flat-screen TV and tumble dryer. 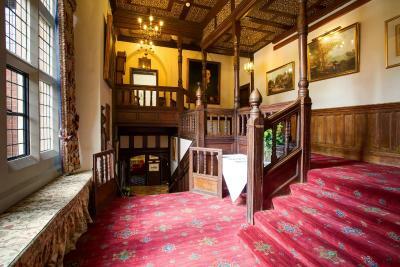 Originally the home of Sir William Gilbert, of Gilbert and Sullivan, the main house has great character and style. 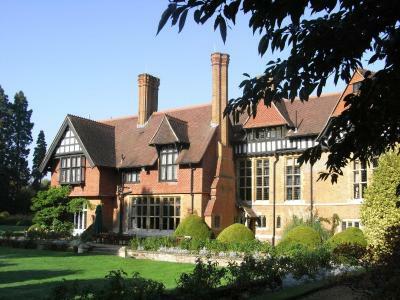 Built in the Gothic style, much favoured in the 19th century, the house stands imposingly in the middle of 10 acres of landscaped gardens and 20 acres of woodland. The kitchen gardens have been retained and devolved, supplying many of the ingredients for use in the 2 AA Rosettes Gilbert’s restaurant. Before becoming a hotel the property served many purposes. 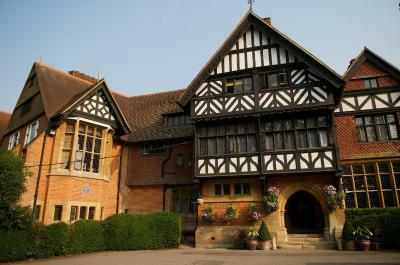 During the Second World War it was utilised as a secret extension of the Bletchley Park “Enigma” programme. 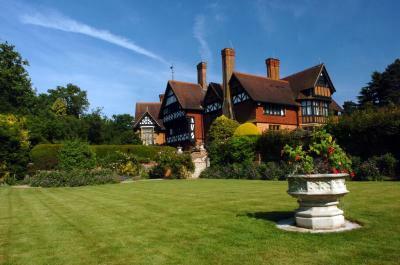 In 1970 the Grim’s Dyke Hotel was opened and in 1996 the current owners acquired the property. 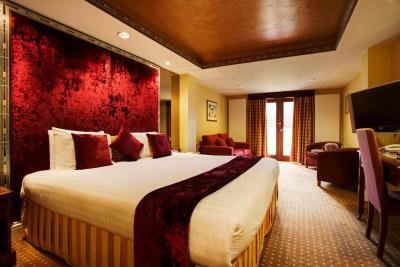 A major refurbishment has brought the hotel up to its current 4 star standard. Hotel surroundings – This neighborhood is a great choice for travelers interested in relaxation, nature and pubs – Check location Great location - show map Guests loved walking around the neighborhood! 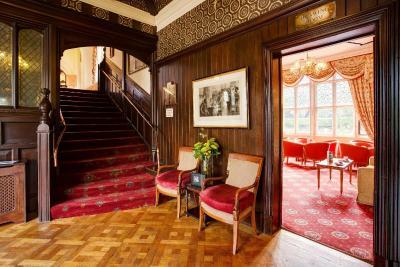 House Rules Best Western PLUS Grim's Dyke Hotel takes special requests – add in the next step! Best Western PLUS Grim&#39;s Dyke Hotel accepts these cards and reserves the right to temporarily hold an amount prior to arrival. Best Western PLUS Grim's Dyke Hotel accepts these cards and reserves the right to temporarily hold an amount prior to arrival. Please note that the card used to book must be presented on check-in. 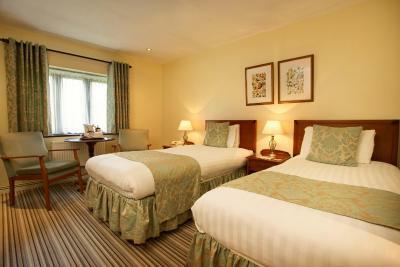 2 bedrooms located on the ground floor in the adjacent lodge have been designed for wheelchair use. These can be requested, subject to availability. Guests should note that this hotel is completely nonsmoking. 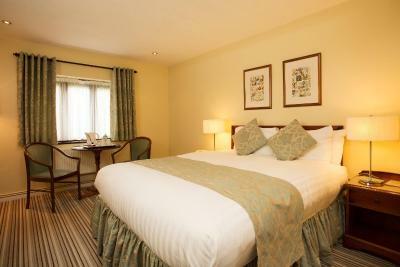 Pets are only allowed in the garden lodge/classic rooms and they must be confirmed by the hotel. Pets cannot be left unattended in the guest rooms. 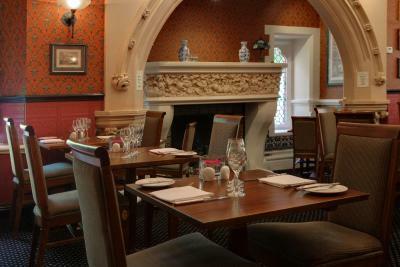 Please note, it is advisable to pre-book dinner in the restaurant. If using a Satnav, you must look for the postcode HA3 6SE. If your mobility is not to good the steps to reception were a bit difficult however there was a good handrail. 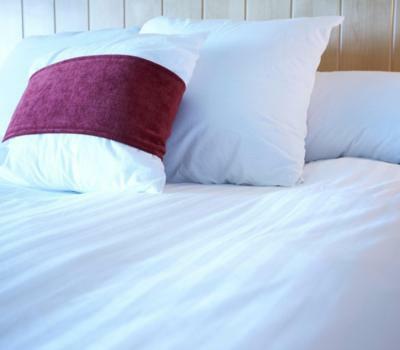 When choosing a room if you are disabled and have any difficulty walking in anyway then make sure you have a ground floor room as there is no lift in the hotel. There are steps to the restaurant however these are shallow and I could negotiate ok however there is no handrail. The bed was comfortable and the gardens were lovely. There's nothing to not like about this amazing hotel. 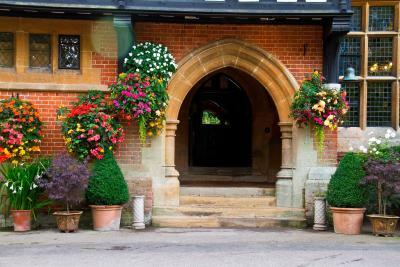 Everything, amazing room, grounds, staff and breakfast. Endless good quality tea and coffee with an excellent breakfast. Although nice choice of pillows, there weren't any thick enough for my personal preferences (Not really a negative as I had a good night's sleep!). The entrance to the restaurant wasn't that welcoming, as chairs and tables stacked up to the left as you walk in (but can't fault the service OR the food!). TV a bit small and low for comfortable viewing in my room. Have to stand outside the restaurant in the cold until 7am when they let you in - also this is a little late for most business users - 6.30 would have been preferable. This seems a lot but they were very minor things. An absolutely beautiful building in a wonderful setting. The staff were attentive and friendly. It was like a little oasis of calm and totally unexpected. Lovely night's sleep in a comfy bed, lots of hot water so had a long soaky bath to take away the days stresses and a lovely shower in the morning to wake myself up again. Didn't want to leave to go to work the next day! Having stayed only two weeks earlier, we were disappointed when we went to our room to discover that it backed onto the car park and did not have a door into the garden (as we had the previous visit). 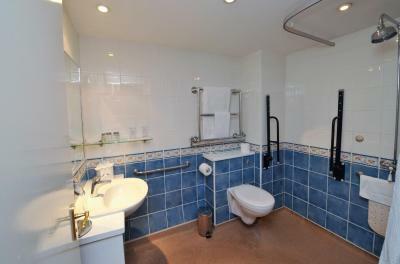 The room also was much smaller and the bathroom less well appointed. Maybe we had been upgraded last time, but if so we were not told. 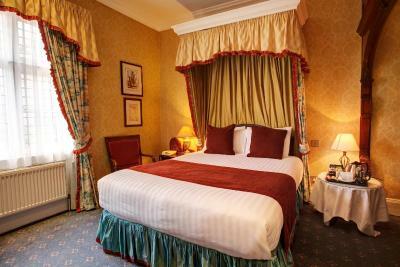 Of course, this room felt much less satisfactory after our incredible experience from the earlier visit. Noisy plumbing which continued all through the night. Once we woke we couldn't get back to sleep. Staff were very helpful and perfect location. Food in the bar not great and service was slow. Bed comfortable. Delighted we had feather pillows. Liked the cafetiere. Good selection of toiletries. Grounds are beautiful.